The Bluefish Power Dimmer allows you to control many common LED strips. 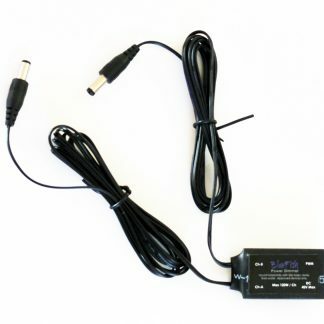 The Power Dimmer is connected in-line, between the power supply and LED product, and accepts the same mini-audio style plugs from your Bluefish controller. 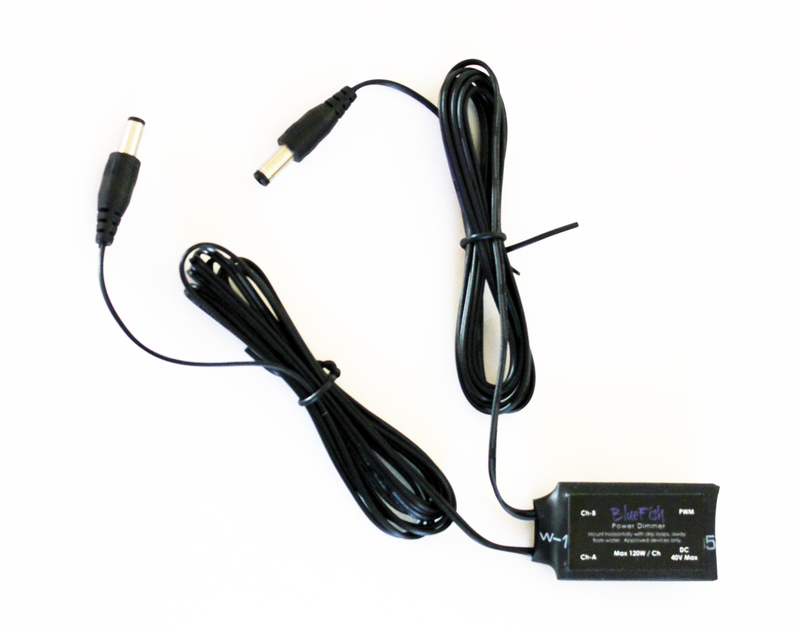 One power input and two outputs means the Power Dimmer functions as a splitter. 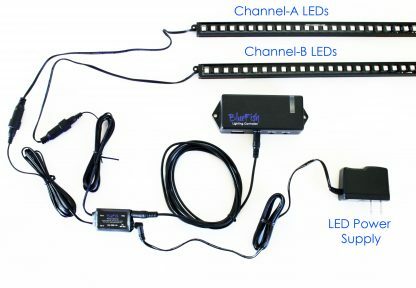 Each Power Dimmer has 2 channels of control, and can handle up to 120W per channel. 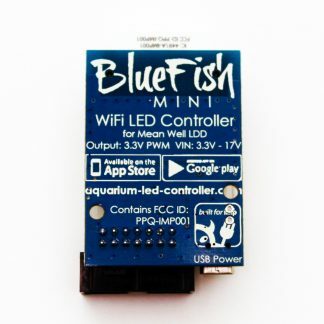 The Power Dimmer modulates the power to your LEDs with a PWM signal from the Bluefish controller. 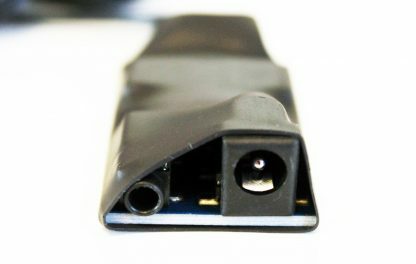 Essentially, PWM is turning the LEDs on/off much faster than your eye can see. 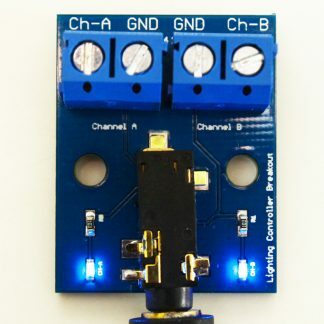 This is the accepted “right” way to dim LEDs, as the spectrum remains the same despite the brightness. 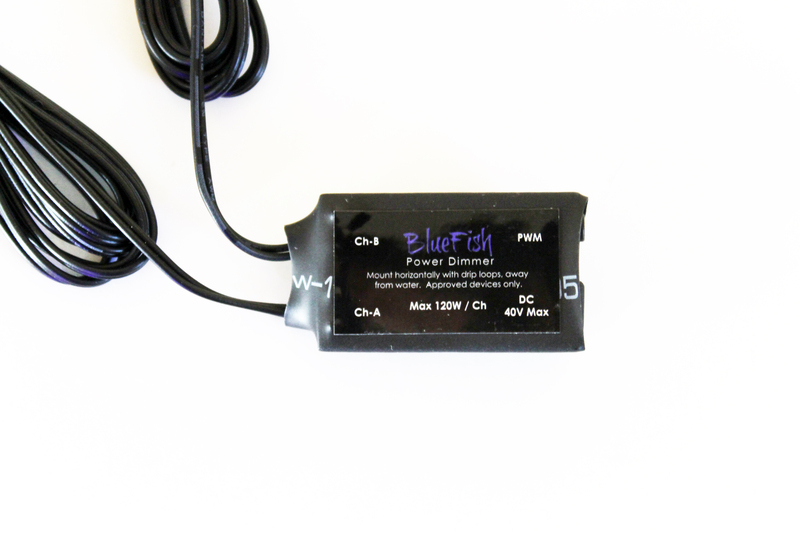 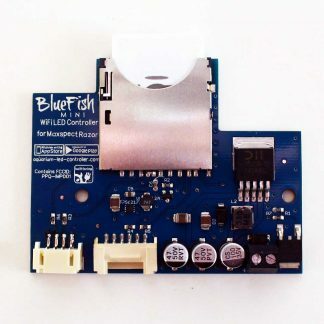 The Bluefish Power Dimmer may work with other simple low-voltage LED products. However, use with products not in our compatibility list is at your own risk, and not supported by customer service.